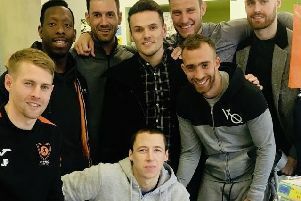 Hemel Hempstead Town supporters and the wider community are being urged to get behind a fundraising drive to support popular Tudors’ midfielder Spencer McCall, who is fighting a battle against cancer. 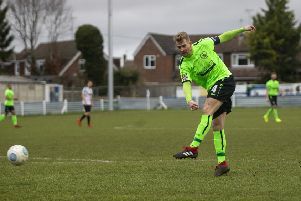 Hemel Hempstead Town’s winless streak in the league was extended to eight games on Saturday after perennial bogey team Bath City defeated them 3-0 at Vauxhall Road. With a sense of the usual sporting inevitably, it was a former player who returned to do the damage against Hemel Hempstead Town tonight (Tuesday) as they went down 2-1 at the death to playoff-chasing Dartford at Vauxhall Road. 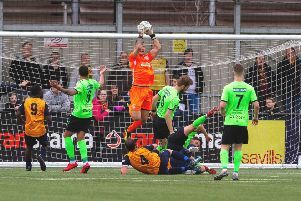 A single goal in the 71st minute was enough for Slough Town to get the better of Hemel Hempstead Town on Saturday to all but end the Tudors’ playoff chances. 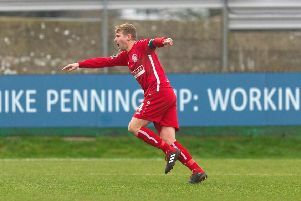 Hemel Hempstead Town booked a place in the semi-final of the Herts Charity Cup last night (Tuesday) when they survived a nervy last few minutes before triumphing 3-2 at Potters Bar Town. 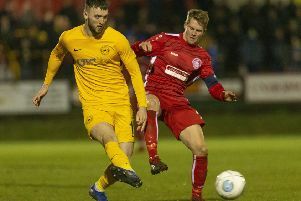 Hemel Town’s winless run extended to six games on Saturday after they were held to a 2-2 draw at home by Concord Rangers, despite taking a 2-0 lead after 11 minutes. Hemel Town’s tough run of fixtures continued last night (Tuesday) when they were beaten 3-1 away at Woking, who in the process moved to the top of the National League South table. 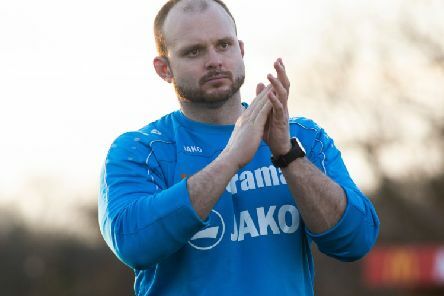 Hemel Town boss Joe Deeney is looking to strengthen his squad with 12 games to go and the Tudors still only 11 points outside the playoffs and with a game in hand. 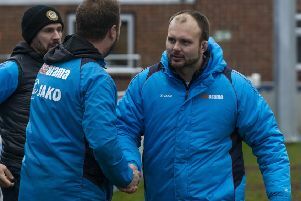 Hemel Town were denied their first win in the National League South for more than three weeks when they were held 3-3 after a remarkable first-half and late ending at Dulwich Hamlet on Saturday. Hemel Town must now dig in and focus on moving up the league table after crashing out of the FA Trophy -- and that battle begins tonight (Tuesday) . 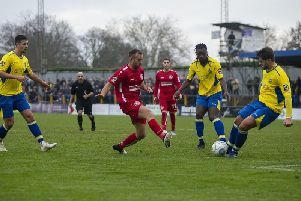 Hemel Town’s journey in the FA Trophy was ended at Vauxhall Road last night (Tuesday) after higher-league Solihull Moors triumphed 5-0 in a scoreline that flattered the visitors.